Size: 26 x 16.8 cm. 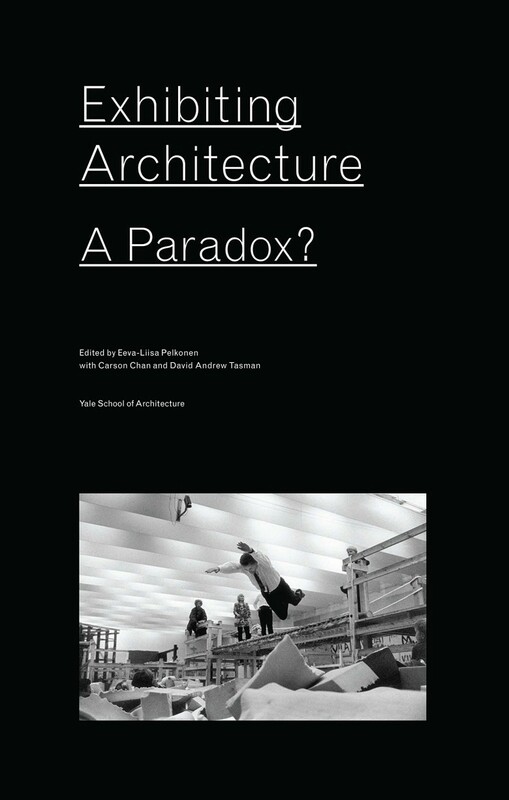 As the title of the book suggests, the ambition to exhibit architecture entails always a paradox: how to exhibit something as large and complex as a building or a city, and how to communicate something as elusive as an architectural experience that unfolds in space and time? To be sure, architecture poses a challenge to exhibition as a medium; indeed, what do we exactly exhibit when we exhibit architecture: should we be satisfied to exhibit photographs of buildings and sites, or should be aim to put whole buildings or, if that is not possible, fragments and models of them on display? 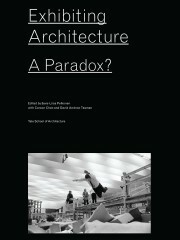 Exhibiting Architecture: A Paradox? brings together, in print form, the lectures, paper presentations, and panel discussions that took place at the eponymous symposium at the Yale School of Architecture in Fall 2013. Contributors include Barry Bergdoll, Mari Lending, Wallis Miller, Romy Golan, Paula Burleigh, Craig Buckley, Mark Wasiuta, Simon Sadler, Federica Vannucchi, Andres Kurg, Helena Mattson, Liane Lefaivre, Lea-Catherine Szacka, Irene Sunwoo, David Andrew Tasman, Eeva-Liisa Pelkonen, Brennan Buck, Carson Chan, Arianne Lourie-Harrison, Nina Rappaport, Joel Sanders, Pedro Gadanho, Eva Franch, Andrea Phillips, and Henry Urbach.